Home » Beauty » How do I stop my hair loss? The reasons why the hair falls out and appears on the hair brush, on the bed, in the bathtub, on the clothes, etc. are different. The main ones are anemia, thyroid problems, stress and skin diseases. It can also be due to an unbalanced diet, hereditary factors or little blood circulation to the head. In the case of women, hormonal changes can cause alopecia especially after giving birth or during menopause. Excessive use of hair products, hooks, headbands, hairpins or heat (iron or dryer) can worsen the picture. Although in the market there are thousands of treatments and products that we can use to avoid or treat hair loss , we also have natural recipes available that can be prepared at home with a handful of ingredients. Aloe gel is very good in the case that hair loss is due to dermatological problems (such as dermatitis of the scalp). 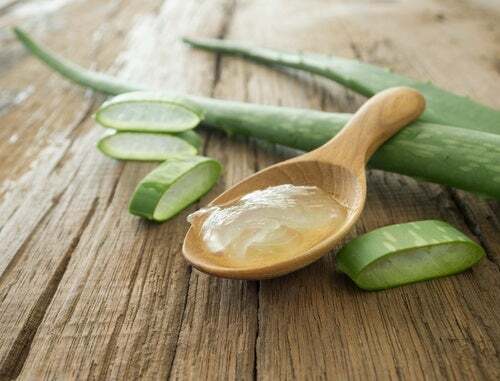 The application is as simple as cutting horizontally a stalk of aloe vera and rubbing the inner part where the strands are born. Let it dry and then rinse. Repeat this procedure daily. Not only it serves to burn fat or refresh in summer if we consume it cold. The green tea provides different antioxidants that help in hair growth and strength to prevent his fall. The application is very simple: once you prepare a cup of the infusion, let it cool and pour as a rinse after washing your hair . It is one of the remedies to prevent or stop the oldest hair loss that exist. The Egyptians already used it with castor oil to avoid alopecia. Almonds are a great source of proteins that improve the health of the skin and strengthen the hair. Simply place a few drops of the essential oil on the palm of your hand and make circular massages on the scalp. Let it dry and do not rinse. The hair will be silky and shiny. Another of the very effective oils for hair loss is rosemary, which is applied with a vigorous massage on the head. In this way the movement increases blood circulation and allows the hair follicles to strengthen . You can also add this essence to the shampoo you use regularly. 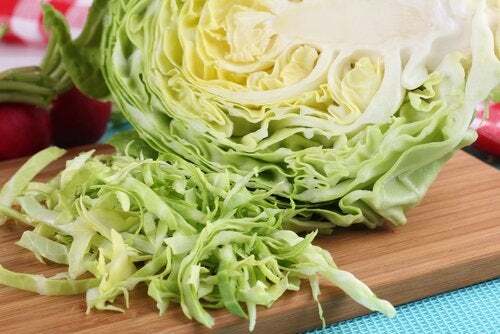 Cabbage or cabbage can be used as a fall arrest perfect hair mask. Rub several leaves boiled over the scalp for a few minutes. Then let it dry and rinse with plenty of warm water. The egg has many proteins that help people suffering from alopecia. It is also perfect for a more shiny and silky hair. If your hair falls a lot, beat four whites and rub them on the scalp with circular movements. Leave on for half an hour and rinse. To finish, wash as usual. Albumin will act to strengthen hair follicles and weak strands. Nettle leaves are very effective in preventing hair loss. The lotion of this plant is obtained in the naturist houses or pharmacies of homeopathy and botany. You must apply it to the scalp every night before going to bed with circular massages. Let it work all night and rinse in the morning. The onion is used as a remedy for wounds and for any skin problem that we have; Therefore, it can help us if we suffer from hair loss due to a skin condition. This vegetable, in addition, contains a lot of sulfur, which improves the circulation of blood in the hair follicles. Once you extract the juice of the onion (in a mortar or similar), apply it on the head and let it act for 30 minutes. Then wash the hair as usual. We recommend that you repeat the treatment twice a week, at least, for three months. 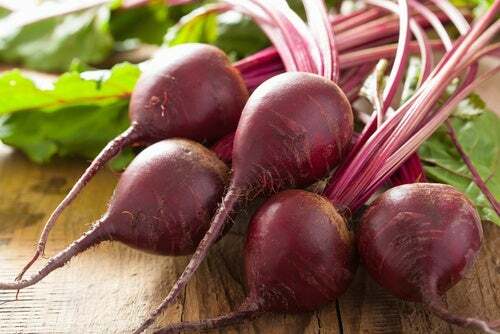 Beets have many vitamins and minerals that strengthen the hair and prevent it from falling. You can open a beet root in half and rub on the scalp. Do not worry, the purple color will go away when you rinse off half an hour later. This home remedy par excellence also has its effectiveness to treat alopecia. The application is similar to that of beet: split the garlic in the middle and rub very carefully on the scalp. Stop treatment if it burns or your skin becomes red. If you do not have almond, castor oil or rosemary oil at home, there is no problem. You can also use the so popular olive. The procedure is as simple as taking a few drops in the palm of your hand and applying it to the scalp with circular movements. You can do it while watching television before going to bed, for example. Do not rinse it. The hair will be very shiny. Previous Post What skin care tip made the most difference on your skin? Next Post What are some beauty tips used nowadays?